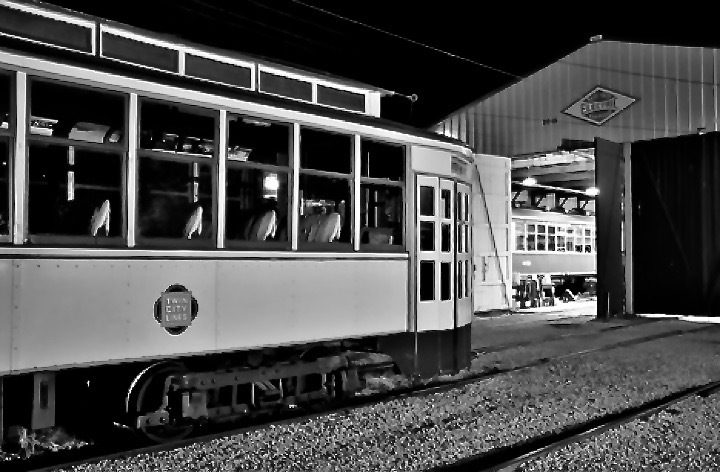 EAST TROY, WI – Rail photographer Mark Llanuza, the official photographer for the METRA commuter railroad in Chicago, will help the East Troy Railroad Museum create a special night for photographers and rail fans interested in taking night photos of vintage rail cars and trolleys. Vintage automobiles are also expected at this staged photo event. The event is limited to the first 30 registered participants. Tickets to participate in this special event cost $50 and may be purchased online at www.easttryoyrr.org, or over the phone by calling 262-642-3263. Push “0” and leave a message. A volunteer will return your call. An optional photo contest will be held among participants to determine the photo that will be used in our 2017 Museum Calendar. – Wear sturdy shoes. NO open toe/open back shoes. – Bring a tripod and a camera capable of long shutter speeds. – Know your camera and how to adjust its settings. Please note that this event is not intended to be a photography class. We will provide suggested apertures & shutter speeds, but you should be familiar with the operation of your camera. A signed “Release of Liability” form will be required before you may participate. Please be prepared to follow the direction of staff managing the event. In order to continue offering Night Shoots, safety must be a paramount consideration. Next Topic: Garnet gets the go-ahead to Whitby!